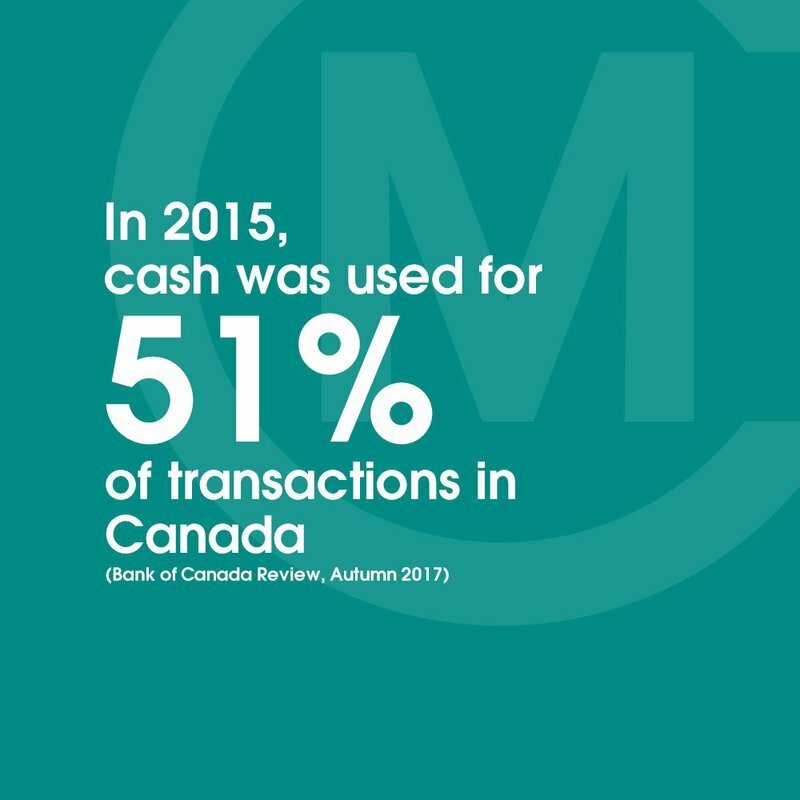 A recent report from Canada's central bank reveals that cash is still an ever-popular means of payment in Canada, particularly for smaller purchases. However, the report also warns that digital options may replace cash in the near future. The report, based on a 2015 survey and another from 2013, finds that cash payments made up the majority of transactions, while debit cards held the second greatest share at 31% and credit cards at 19%. Regardless, an overwhelming majority of businessess small (94%) and large (98%), continue to accept cash. However, consumers seem to rely on physical money for the smallest purchases, with the median amount of a cash transaction valued at $8.04. Debit and credit card transactions are higher at $28.33 and $43.85 respectively. Fung, Ben and Kim P. Huynh, Currency Department, Bank of Canada, and Anneke Kosse, Market Infrastructures Policy Department, the Nederlandsche Bank. Acceptance and Use of Payments at the Point of Sale in Canada. Bank of Canada Review • Autumn 2017. Accessed November 20, 2017. Web. Sagan, Aleksandra. "Canadians pay most often in cash, but for small purchases, Bank of Canada says." Canadian Business. The Canadian Press. November 16, 2017. Accessed November 20, 2017. Web.